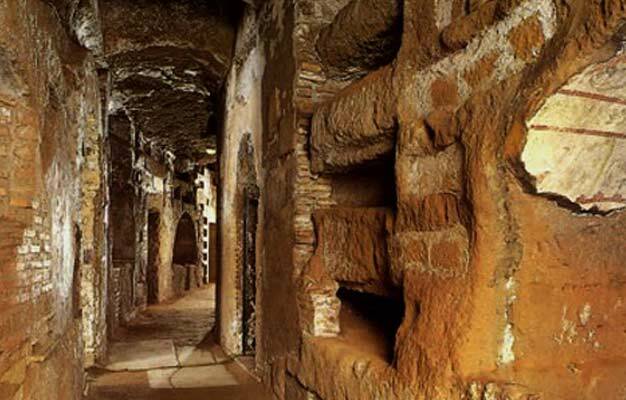 Explore Rome's dark past on this eerie tour to the Roman crypts and catacombs! Visit an ancient part of the city and burial grounds layers beneath the modern busy streets. 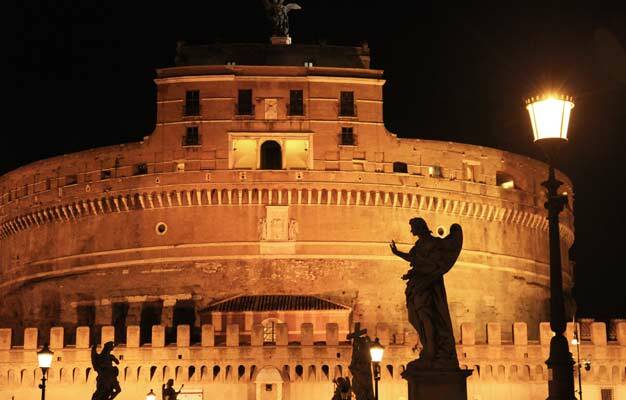 This tour takes you deeper into the strange history of Rome, to the core of this ancient city. You'll visit three unforgettable sites with one thing in common – these are the most unusual and outlandish places in the Eternal City. We'll start by visiting the ancient Roman Catacombs. Dating all the way back to the 2nd century AD, this extensive network of tunnels snaking beneath the city was once both a burial ground and a hiding place for the first Christians in Rome. Established in the days when Nero was famed for torturing Christians, the tunnels became a place for refuge as much as for burials and celebrations. Next stop is the Basilica San Clemente, another site that few visitors ever see. Here you'll trace this route of a priest who thought he'd heard running water inside the church and experience first-hand the incredible layers of history. You'll also get a tour of the Capuchin Crypt – known locally as the ‘Bone Chapel’. Witness a real skull and crossbones, vertebrae chandeliers and full skeletons in their robes. Enjoy some free time to have dinner at a local restaurant or to go for a stroll in the historical center of Rome. As darkness sets in over Rome, a different city comes to light – a city of legends and mystery, where thousands of years of history left a story behind every stone. Together with your guide, you'll cross the Tiber and wander across piazzas, listening to unknown stories of murders and betrayals. The tour lasts 7 hours January to start March and approx. 8 hours March to November. The tour operates daily, except Monday, at 2:30 PM.